APSC Exam Notification 2017- For Combined Competitive (Prel.) Examination- 2016. - Jobs4NE : Jobs in Assam and North East India. 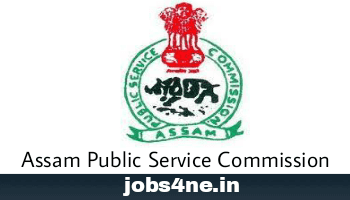 APSC Exam Notification 2017- For Combined Competitive (Prel.) Examination- 2016. This is for information of all concerned that the Combined Competitive (Prel.) Examination/2016 will be held on 02.07.2017at Barpeta, Bongaigaon, Cachar, Darrang Dhemaji, Dhubri, Dibrugarh, Dima Hasao, Goalpara, Golaghat, Jorhat, Kamrup (Metro), Karbi Anglong, Karimganj, Kokrajhar, Morigaon, Nagaon, Nalbari, North Lakhimpur, Sivsagar, Sonitpur and Tinsukia. The status of the applications and the e-Admission Certificate for the said examination will be uploaded in the website www.apsc.nic.in within a short time. 1. This year Roll Nos. will be of 9 (nine) digits. Space will be provided in the OMR sheet for filling up the Roll Number. 2. Candidates will have to paste a recent passport-size photograph with white background on the space provided in the e- Admission certificate and hand over the copy of e- Admission certificate to the Invigilator at the Examination Hall in the 1st session of the examination. 3. The prohibited items such as electronic communication device including mobile phone, pager, Bluetooth, earphone, tablet, calculators, books, scale, or drawing instruments are not allowed inside the Examination Hall. 4. For detail information, please refer to instructions to candidates which can be downloaded from the APSC website www.apsc.nic.in. 6. No request for change of ‘Optional Subject’ and ‘Centre’ already chosen for the candidates will be entertained. Help Desk Number is 0361-2363117 during office hours.